I was in South Bend, Indiana for the second time in about a month’s time. My previous trip was spent mostly feeling lost as I navigated this unfamiliar city. For this second trip, I borrowed a GPS to aid me. It was enormously helpful and gave me the confidence of a local driving around town. For three days, I assuredly drove from my hotel to Granger Community Church to attend meetings and all over the area looking for things to photograph during free time. On Saturday morning, I vacated my double queen room at 5:00am for my return flight and punched the coordinates to the South Bend Regional airport into the GPS. Leaving the parking lot of the hotel, I immediately took a left turn to the intersection and was intending to take a right hand turn. I had been to the airport before and knew the general direction. Instead, the GPS was pulling me to the left in what seemed to be the opposite direction. Trusting the GPS and being alone in the intersection, I literally put my rented Nissan Xterra in reverse, backed up and got in the left turn lane. I was happily on my way. Driving, I was thinking about the long day ahead of me; in and out of three airports on my way to Billings as the GPS led me down one familiar road to another. After ten minutes of obedient driving, I started noticing that I was headed downtown and toward the Notre Dame University campus. The night before I attended mass at the Basilica of the Sacred Heart at Notre Dame so the road was fresh in my memory. The thought occurred to me that I must have entered the coordinates for the campus instead of the airport. I quickly pulled over to check the GPS and was surprised that South Bend Regional Airport was in fact my destination. I was confused. I had been to the airport before and this was not the way I went before. My confidence in the GPS was beginning to wane. My brain started mounting resistance to the prompts I received from the voice in the little box labeled Magellan. I seemed to be going in a dizzying array of circles in the down town corridor. I started getting mad. Driving a rental, I knew I needed to fill the fuel tank before returning the vehicle to Avis. I stopped at the only gas station open for business. 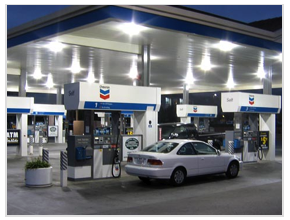 I was running my card at the pump when I noticed a young man walking my direction and talking on a cell phone. As he passed on the sidewalk alongside the row of pumps, I heard him leaving a voice message on the other line. He continued walking past me about 50 feet before turning around. He approached me saying, “You’re someone that can pray for me.” Surprised by his statement, I questioned, “How do you know that?” “God told me”, was his immediate reply. I asked him to tell me what was going on. The story he relayed to me broke my heart. He told me that his daughter was born the day before and there were complications with her digestive system. He said her stomach was too small and the size was causing her to vomit. Doctors wouldn’t let her go home because she had been aspirating the vomit and it was too dangerous. Having not slept much in the hospital, this young man decided to go on a walk and God led him to me. Or did God lead me to him? God’s leading and timing is amazing. Just over 18 years ago, my son Jared was born with complications. I could completely relate to this young man’s plight. We prayed together for the health of the baby and his young wife. I also prayed that God would bless him in the midst of this turmoil. He thanked me and confidently continued walking in his original direction. I climbed into the Xterra. Driving away from the gas station and watching the young man walk down the sidewalk as I passed, it all suddenly made sense. God had orchestrated that meeting. For some reason I was supposed to pray with that guy. Here’s an important lesson about following God. While I was questioning the functionality of the GPS, God led me to the exact place He wanted me. There have been times in my life that God did and/or allowed things I do not understand. There have also been times God led me in a direction that at first seemed confusing. During those confusing times, while my brain begins to mount resistance, I really have two options: I can strike out on my own trusting my wisdom or I can stay His course and trust His wisdom. I’d like to say that I always do the later but it’s simply not the case. My wisdom usually leads me to a place that leaves me looking for the nearest exit. Trusting God to help us navigate this life means complete reliance on Him – just like I trusted the GPS to get me to the South Bend Regional Airport – which it did, albeit the long way… Trusting Him even though I feel confused and lost sometimes. I guess it’s all part of the adventure. To see pictures of the Basilica of the Sacred Heart that I took the night before, click here. As I prepare for the four trips I have scheduled this month, I am reminded of an adventure I had with my good friend Tim Weidlich a few months ago. We were in Chicago attending meetings at Willow Creek Community Church in preparation for the Global Leadership Summit. Since Harvest Church was a host site for the Summit, we transacted a flight plan that conveniently brought us within 20 miles of South Barrington where Willow’s main campus is located. Being a seasoned road warrior, Tim brought and installed his GPS on the windshield of our rented Ford Focus. We made haste out of the parking lot armed with verbal directions to the Interstate given by the gate attendant employed by Thrifty. En route, I attempted to program the GPS with the address to our hotel. 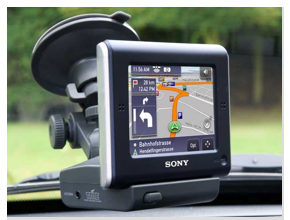 Having never programed a GPS before, I struggled. Tim finally took over and had it programed in short order while we drove to South Barrington. After the 20 minute drive and with the Hilton Garden Inn in clear sight from the Interstate, I laughed. Actually, we didn’t need the GPS after all. Later that evening we left the hotel to attend a meeting at Willow. Leaving the parking lot, Tim programmed the GPS with Willow as our destination. Both of us, having been to Willow before, we knew that getting there started with a right turn out of the parking lot. Two minutes later, we approached the sign and subsequent road into the church parking lot. Again, we didn’t really need the GPS. After the meeting, I needed to go to the store to get a few items that I neglected to bring on the trip. Within a few minutes we had the GPS programmed to find the nearest grocery store. Actually, the GPS worked perfectly and led us right to Jewel-Osco. I easily found what I needed, paid the clerk and left the store. Sitting in the vehicle again, Tim programmed the GPS with the hotel information. The gentle, soothing voice told us to take a right out of the parking lot and another right on the road immediately beyond the store property. We obediently followed the voice commands and were led through one residential neighborhood after another. Driving a little father took us past a dimly lit park and by some really great homes. A few blocks later we were instructed to take another right. Amongst the conversation, the low light and a couple hard swigs from our recently purchased bottles of water, we noticed the Jewel-Osco on our right – again. The Garmin had led us around the block and a subsequent left turn on the road the led us to the store from the hotel. I was puzzled, we should have just gone left in the first place out of the parking lot. I flippantly yelled, “God’s my GPS”. We laughed but those words had some pretty serious undertones. Real time question: What or who guides your life? What impulse or piquing inspires you? If you’re truly a Christ-follower, the answer to those questions become obvious. Our allowance of or submission to Christ’s guidance is what sets those following Christ apart from those who aren’t. Another question: How does God guide us or become our GPS? I think there is much interest in this subject among evangelical Christians. However, the surprising thing is that the Bible says very little about how God guides his people. In fact, God does not promise to use any other means to guide us other than His Spirit and His word, the Bible. The world inhabitants in the Old Testament looked forward to a time when God would send His Spirit on all his people. It says in Ezekiel 36, “I will give you a new heart and put a new spirit in you; I will remove from you your heart of stone and give you a heart of flesh. And I will put my Spirit in you and move you to follow my decrees and be careful to keep my laws.” (Ezek 36:26-27) In the New Testament, this hope is fulfilled. Jesus, the risen Christ, pours out the Spirit on his people (Acts 2:33). The New Testament tells us that all Christians receive God’s Spirit as a guarantee of their relationship with God (Rom 8:5-7; Gal 4:6; Eph 2:18). The Greek poet Archilochus wrote: “The fox knows many things, but the hedgehog knows one big thing.” Isaiah Berlin’s famous essay “The Hedgehog and the Fox” based on Archilochus’ quote analyzes the differences between foxes and hedgehogs. Berlin believed people can be classified as either foxes or hedgehogs. In the fox and hedgehog parable, the fox is always trying to get the hedgehog. Day after day, the fox is in pursuit of the hedgehog, devising means to catch the hedgehog. The fox is, by all appearances, a highly intelligent, crafty and resourceful creature. Indeed, compared to the rather dull hedgehog, the fox appears to have every advantage. The hedgehog is a small, awkward animal that lives a simple life and spends his days taking care of his den and finding food. Each day, the fox tries a new scheme to catch the hedgehog and each time the hedgehog simply bundles up into a ball of sharp spikes—foiling the fox’s attempts. To be clear, hedgehogs are not stupid; quite the contrary. They understand the essence of profound insight is simplicity. No, the hedgehogs are not simpletons. They have a piercing insight that allows them to see through complexity and discern underlying patterns. Hedgehogs see what is essential, and ignore the rest. 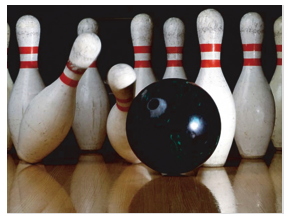 As simple (or complicated) as it sounds, I applied the principle of the hedgehog to my bowling game; I simply narrowed my focus. The first game was spend looking at the pins, hoping I was holding the ball correctly, timing my stride and tossing the 16 lb. resin orb down the lane. I determined that the essential during this second game wasn’t necessarily the pins (however, my ultimate target) but the markers just beyond the foul line. Focusing on them provided me with four strikes, two spares and a score of 158 during the second game. Instant feedback! I’ve done a fair amount of hiking this summer and have seen some pretty ridiculous landscapes over the last few months. I cannot understand how anyone can claim that God doesn’t exist as a simple jaunt in the open spaces leaves little room for doubt. The wilderness is simply a reservoir of God’s majesty that spills over into lush plateaus and mountain streams that lead to emerald meadows. Every time I’m out there I marvel at the creativity of our God. 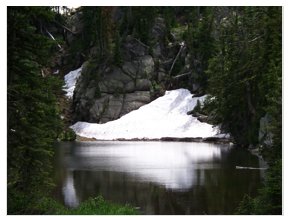 Earlier this summer my family and I were hiking in the Crazy Mountains north and west of Big Timber, Montana. If you’ve never been to this incredible range you really owe it to yourself to check it out. Actually, incredible is an inadequate word to describe this rugged maze of twenty-three almost vertical peaks each leaping over 10,000 feet into the air. On this particular trip our goal was Granite and Blue Lakes. The trail to these modest bodies of water provides a steady climb until the last mile and a half. 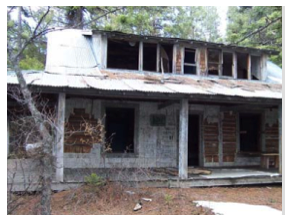 From there on it’s an all out assault on unconditioned legs and lungs up a series of switchbacks until you reach the flat housing a barely recognizable forest service cabin. One hundred yards later you’re at Blue Lake – a destination worth every step. Another fifty yards takes you to Granite Lake: the non identical twin of Blue. If you’ve ever gained elevation while hiking, I think this observation is going to resonate in you. God just seems closer when you’re on or near a mountain. Not for the obvious reason of proximity (assuming God is somewhere up there…) but for an almost unexplainable reason: a reason that perhaps Jesus knew and understood. I’m often puzzled when I read in the New Testament that Jesus went up a to the mountain or on a mountainside to pray. For instance, Luke 6:12 says, “In these days He went out to the mountain to pray, and all night He continued in prayer to God.” And Luke 9:28 says, “He took with Him Peter and John and James and went up on the mountain to pray.” These aren’t the only instances in the Bible that describe Jesus praying in this location. Mind you mountains weren’t the only places Jesus prayed but he did spend lots of time praying on a mountain. Why? A quick look around the lake revealed eighteen mainsails drifting about so finding an opponent wouldn’t be difficult. Even sailors cruising for an afternoon scarcely pass on a race. I can only compare it to two teenage drivers stopped at a traffic light. Though only casual glances are exchanged there’s a scamper to the next light. The winner sports a grin and the looser beats his palm against the dash. Sailing is a complicated game that combines technical, strategic, physical and social challenges. We tacked into the wind with our J34 and noticed another vessel, a J24 Severe J piloted by a husband and wife, one hundred yards off starboard doing the same. Though no words were spoken and glances too far away to be noticed, everyone knew it – the race was on! Suddenly, our previously calm sailboat became a cacophony of sounds and movements. The lines cranked through their housings, the sail fluttered, the boom clanked and everyone on board shifted position. I think you use every muscle in your body to pull the jib line on the other side. You constantly watch how the sails react to the wind and make adjustments as needed. Sailing upwind is similar to driving a car up a mountain; you have to zigzag through the water, which is called tacking. Every time you tack it involves changing the position of the sails. Knowing when to tack and the time it takes to accomplish a tack is where races of this nature are won and lost. We coaxed the sails from one side of the boat to the other, working as a team as we glided through the water. The wind was coming out of the south with heavy gusts on the leading and trailing edge. The adrenaline was flowing and our performance was at its apex. We were holding the boat pretty deep, keeping her balanced as we stood on the high side and tried to keep the rudder planted. By the end of the first leg we were ahead by two boat lengths – a fair distance for our makeshift racecourse. Our skipper instructed us to prepare the spinnaker and to wait for his command to “fall off”. Turning the sailboat away from the wind is to fall off or bear away. Turning into the wind is to head up or harden up. We were waiting to fall off while preparing the spinnaker. In that moment gear is flying everywhere. Now was our chance; the tactic we rehearsed all morning, the most important maneuver of this race, was being deployed. The command to “fall off” came from the helm and everyone leaped into action. Something went wrong. Honestly I cannot even recall what it was. What populates my memory is the emotional and physical let down we all felt when we looked up and saw our previously behind adversary now five lengths in front with a full head of wind stretching their spinnaker. We were devastated. No fingers pointing. No blame cast…just the reassuring voice of our skipper reminding us that this race was not over. We got back to work and quickly noticed we were gaining on them. Once the spinnaker flies it must be carefully trimmed to be effective. To trim the spinnaker properly, the first requirement is setting the pole at the right height and correct angle to the wind. The correct height is when both clews are at the same level and the pole is horizontal. The corner with the sheet attached will rise and fail with varying wind strength. The pole must be raised or lowered to put the other clew at the same height. With the vertical trim of the pole correct, the next task is to work on horizontal trim. The best way to do this is to keep the pole perpendicular to the wind direction. Some skippers even put telltales in the middle of the pole to obtain an accurate reading. Our kite was trimmed perfectly and we hoped we had enough real estate on this leg to stretch out ahead. We gnawed at our opponent’s tail for several minutes getting closer with every bite. Within a couple hundred yards from where this challenge first started we slipped past our competitor. We cheered and they took pictures. It felt awesome; teamwork and determination paid off. We won our first official non-official race. We were one win – zero loses. In retrospect, the inequality of the boats and crews really made this an unfair contest. But, it was still fun! 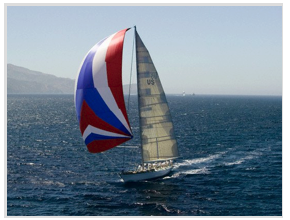 We couldn’t wait to ‘fly the spinnaker’; the larger-than-life wind trapping sheet that propels a yacht like none other. In the world of sailing there’s simply nothing more beautiful than a robust sail full of prevailing wind. We are novice sailors learning a competitive sport that the honor of nations has hung on. There’s a rich tradition than governs each ambitious schooner tacking upwind to the next marker. We were on a mentoring trip for my youngest son, Austin, designed to use the principles of sailing to illustrate how real life is played out in the existence of every man. Here’s my reasoning: As a man you are part of a system – both as a contributor and as a consumer. Since there are no successful ‘lone rangers’ in this life we must rely on those around us to advance successfully through it. On a sailboat, there’s a determined sequence of tasks that must happen systematically and with precision to best position the sails to harness the wind. And here’s the catch; if one component of this sequence fails, the whole process fails. The results can be catastrophic but generally your boat just decelerates. And, when you’re in a sailing race, precision and speed matter. It’s race season on Flathead Lake. 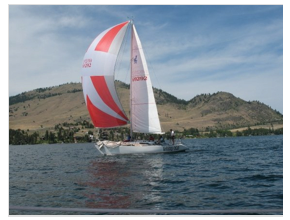 The 2009 Montana Cup Regatta is in a couple of weeks and teams are readying themselves and their vessels for some of the finest sailing that Montana has to offer. One of the privileges of capturing the Montana Cup is hosting next years race from wherever the winning team hails. The North Flathead Yacht Club isn’t too eager to let their long winning streak go and less eager to race at Canyon Ferry Reservoir. There have been races for weeks here – all in preparation to retain the ‘Cup’. As our ship cuts through the waves, the sound of water laps against the hull. We were tracking a stiff wind and loving every minute of it. Since most of the crew had never sailed before the deck is a proverbial classroom. Our skipper has been sailing since his youth and with the patience of a tee ball coach, he shares his knowledge. First the basics: mainsail, mast, headsail, and halyards. Cleats, port side, starboard side, and rigging. When there was no wind we tied knots and measured them when the breeze blew against our faces. While underway, the standing question among the crew was, “How many knots?” We cheered every time our speed gauge told us we eked out another couple of tenths thereby setting a new speed record. Thirty-six hours into our training we had accomplished several flawless maneuvers and recorded a maximum speed of 7.42 knots. Our teamwork and confidence was as abundant as the wind driving our sails. We felt battle ready and wanted to join the fray; we were ready to race. From the bay you can barely make out the outline of the decaying homestead on Cedar Island. A quick jaunt up the bank and through the trees reveals an eerie sight. Once the grand summer home of the Marshall’s, the pleasant noise of laughing, carefree children has been replaced with the squeaks of hundreds of bats living within its deteriorating walls and ceilings. Area locals suggest the house is haunted. I picture the scene of cheerful gatherings as I step onto the fifteen-foot deep porch that lines the front and sides of the house. This place must have been incredible. My friend tells us how he and a couple of childhood friends used to spend the night camped on this very porch when he was growing up. As he reminisces we step though the front door. The place is in a painful shambles. More than one misguided can of spray paint discloses hordes of nefarious riffraff identified with names like Joe, Brian and Shelly. Are we to care that Sam was here or that Steve loves Mary? Couldn’t Bob have given us his last name when he sunk his knife into the windowsill thirty-two years ago in 1977? Doesn’t he realize how many Bobs there are in the world? How are we supposed to applaud his carving skills? Oh, careless Bob! What where you thinking?! I’ve never understood vandalism. I wonder who the first incongruous artist was and if they know or even care what their handiwork has produced. Do they regret what they started? Standing in the middle of that house is almost surreal. The dull fragrance of guano has long replaced the scent of summer BBQ’s that surely wafted to the children and guests as they swam at the beach. Peering out the picture window I see how the calmness of the bay contrasts the tension now resident in the house. At the risk of sounding too sentimental, it’s sad to see such a grand mansion die like this. We stroll up the path to a gated fence erected to protect an apple and cherry orchard. The trees were cut down several years ago to prevent a worm infestation from spreading throughout the Flathead Valley. The forgotten roots must have gathered strength through the years and we inspected several new trees with ripening fruit. However, at the gate was the most puzzling cement building: Four sturdy walls and a roof. I’m glad that my father-in-law was with us. As we stood baffled by its existence he quickly painted the scenario of what this building was used for. It was a water storage shed and provided water to the house fifty yards away through submersed pipes. He excitedly showed us the ninety-year-old trench where the pipe was laid. The elevation of the water shed would have produced a good amount of static water pressure and was pure genius. We walked to the end of the island and back the way we came. It’s too bad, you know – that old house. Too bad the State didn’t take better care of it during the last sixty years. The Marshall family sold the island to the State in the 1950’s and the house has been abandoned since. In May 2009, the State wrote the Flathead Lake Island Management Plan. This forty-nine page document describes plans to tear down the Cedar Island House sighting several reasons for its removal. I’m glad to have walked through it and imagine it’s former effulgence before it’s finally put to rest.